The homes in Pointe San Luis, Galveston must be seen to be believed. You will find exclusive homes that are maintained throughout the year and ready for each guest who comes through. Each home offers amazing views of the ocean and is just steps away from the beach. Most homes are multistoried houses, so you can see for miles from the second-floor balcony. Multiple bedrooms and bathrooms allow everyone in your family to get ready without fighting over sink space. Best of all, our Pointe San Luis vacation rentals are located right next to each other, making for the perfect double family getaway. Having access to resort-like amenities will only make your trip even better. Most of our Pointe San Luis vacation rentals include amenities such as free Wi-Fi, flat screen TVs, covered balconies, fresh linens, modern appliances, gourmet kitchens, open floor plans, and much more. You will even have access to the Point San Luis pool that is a highlight of the neighborhood. 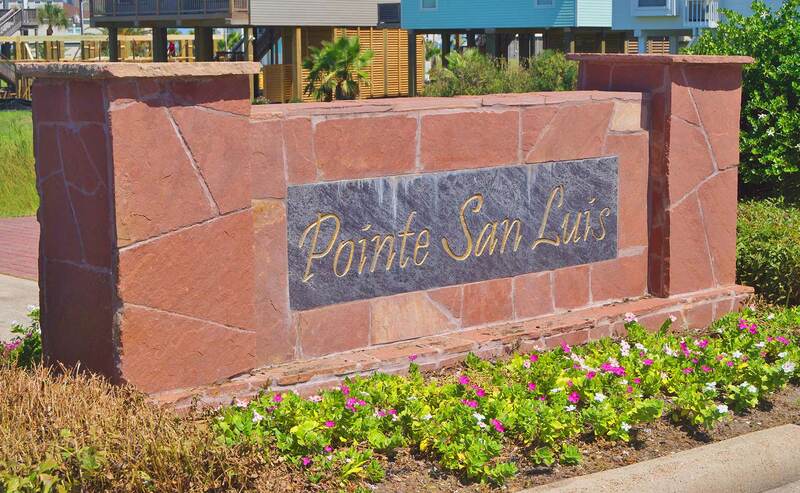 Pointe San Luis can be found on the West End of Galveston, but you will still be only a short drive away from the rest of the city. Check out Moody Gardens or Schlitterbahn for a family fun outing. Or head over to Strand Historic District for incredible dining and shopping. There is something for everyone in Galveston!